Our volunteers are our most valuable resource. 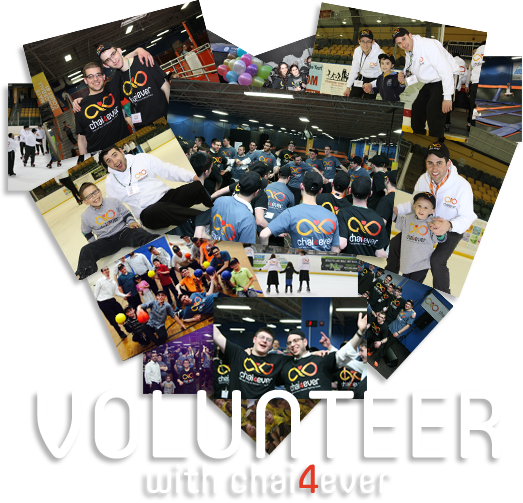 Chai4ever’s volunteer opportunities are crucial and rewarding. You can make life easier for our patients and their families. Assist young children with school work. Ease patients’ lives with home respite opportunities. Enjoy recreational events for patients and their children. Drive patients to and from medical appointments.